I was wondering if you had any good tips on doing a good pirouette? because I can do quite good ones to my right but turning to the left is terrible . If all these corrections overwhelming your brain, then one correction I got from a leading director was to visualize the shape. Picture yourself in the perfect pirouette with everything in the correct placement - the arms in a strong first position, the foot in retire underneath the knee and you just effortlessly whirling around. Visualize this before you come to pirouettes and you may find it will help you. And as for he left, it's natural for dancers to turn better on one side. Keep practicing to the left and concentrate on your co ordination as it's your more uncomfortable side so you need to discipline your body. Practicing on your bad side has also been known to strengthen your good side so keep persevering! I've had other pirouette questions, similar to yours, so don't worry you're not alone! 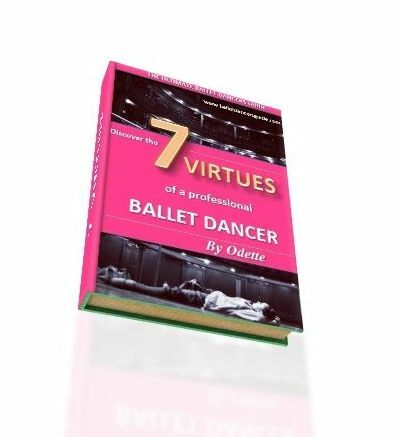 To see more pirouette tips I've given to other dancers, click here.